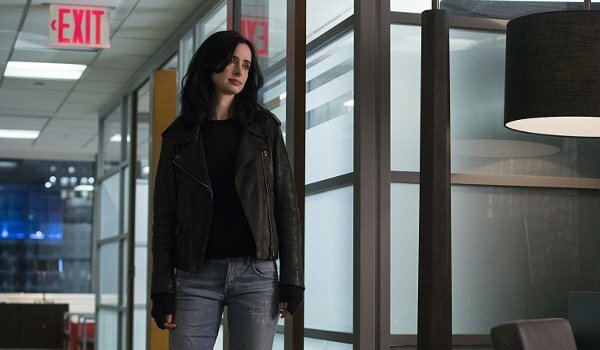 Despite having killed off her personal boogeyman at the end of the show's First Season, little has changed for low-rent super-hero private investigator Jessica Jones (Krysten Ritter). Drinking too much, making enemies wherever she can, taking seedy jobs from clients, and pretty much being pissed off 100% of the time, Jessica continues stumbling through life when Trish (Rachael Taylor) and a prospective client (Jay Klaitz) both force her to examine a past she'd done her best to ignore. While the search into what made Jessica into who she is isn't surprising, the episode struggles with selling the concept to both its protagonist and its audience for most of what turns out to be a very flat premiere. If the first episode is any indication, the deep-dive into Jessica's accident and the experiments which gave her super-powers are likely to dominate the show's Second Season. I'll assume that dickish private eye Pryce Cheng (Terry Chen) and his rivalry with Jessica (which leaves him hospitalized) will also give Jessica plenty to complain and drink about over the next few episodes as well. While I like how the show has worked Malcolm (Eka Darville) more into Jessica's life, I thought Hogarth's (Carrie-Anne Moss) appearance felt forced and the amount of time spent on the infighting of her law firm felt very much like filler.